Surya Mattu and Ingrid Burrington are the inaugural residents for our R&D Program for the Future of Journalism, a new pilot program that takes an artist-led approach to fighting misinformation and fake news funded in part by Craig Newmark. 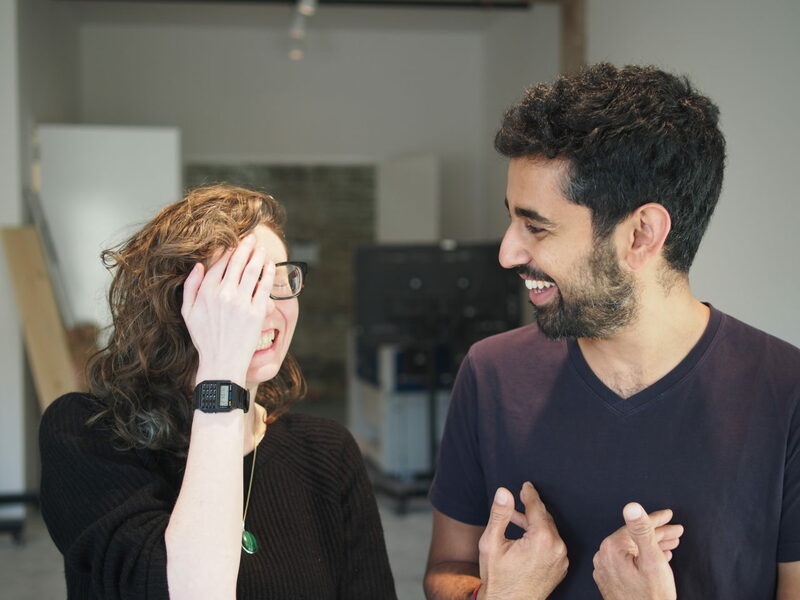 Collectively we are working as INFRA (Investigations, Near Futures, Research, and Art) a loosely associated organization/detective agency currently consisting of Ingrid Burrington and Surya Mattu. INFRA engages in projects, programs, and poetic gestures that support advocates, educators, and others in building arguments for substantive change and new narratives for the future of technology and society. Right now, we’re exploring different ways that large tech platforms can be understood as acting outside the law or never really answer to law through various approaches of sidestepping law–primarily settlement agreements, legal technicalities, and subcontracting. We’re still pretty early in this work but we’re interested in identifying these different legal loopholes and demonstrating the ways they might perpetuate systemic societal harms as a way to strengthen regulation proposals or find other loopholes that might make it easier to file legal claims against platforms. Creating actionable research for investigative reporting and making work that is useful to the range of communities that sit between journalism and other forms of investigation — such as, but not limited to labor organizing, policy advocacy, and art.